TRAVEL AGENT vs. TRAVEL "ARTISAN"
Different types of travel require different types of travel planning. When I describe what I do, people commonly respond with "so, you're a travel agent." While, Explorateur Travel isn't your typical type of travel agency, there is a lot of overlap. I'd like to consider myself a travel consultant, but even that doesn't always seem to work. If I actually had to pick a name for what we do, I would like say that we are travel artisans. We thoughtfully create each itinerary to provide memorable experience based on style and local culture. So to help you decide what kind of planning assistance you may need (if any), here is a breakdown of what an agent does, and how we are different. Do you prefer an active vacation? Experience the culture of a place by a local cooking class! Have questions? Give us a ring! While I have been a travel agent previously, I found that I wasn't able to be as hands on with each client because it was more transactional and not focused on the meat and potatoes of the day to day itinerary of a vacation. Travel agents provide an excellent service for groups looking to book together, luxury trips, or even someone that may be looking for a more traditional experience. The good news is, that there are plenty of resources to help plan your trip, regardless of your travel style! So reach out...after all, your vacation is a blank canvas that we can't wait to get our hands on! To check out our easy and affordable a la carte menu, click HERE! I think it’s safe to say we have all had that first love; the one that we talked to all night and danced under the stars for hours after curfew with, the one who made you laugh so hard you had tears rolling down your face, the one who embraced you and let you feel so much of their warmth, and the one who left that impact so deep in your heart that you think about everything you did together every single day since you left them. They made you feel so young, young and in love...with travel. I was 20 when I found mine. Her name's South Africa. I didn’t expect to find myself wanting and wishing to be back until my first adventure to the Rainbow Nation. After spending one month in the country with a couple of short trips to Swaziland and Mozambique, I was hooked; I was so hooked in fact that I decided to fly back less than a year later. I spent 12 weeks in Cape Town and fell truly, madly, and deeply in love with the country and its people. When I tell people this I usually get two types of reactions, but the looks of awe and curiosity are the ones I love the most. Check out this quick list I put together of 5 reasons that justify why it’s ok to be young and in love with travel! You're only young once, so why not live life to the fullest, right? You can redefine “growing up” (whatever that means). You can broaden your perspective, make your world connect in different ways, and do something new every day. Stop asking yourself when you’ll go back or when you’ll leave, just go. Now's your time to be selfish, it’s your time to fill your soul and no one else’s. I know that sounds a bit harsh, but honestly I cannot say this enough! I know we all have that picture perfect future in the back of our minds, or that picturesque path that you’re currently standing on leading you to that amazing job, but when will you ever get the chance to take off and find something that you’re not even looking for or that’s not even there yet? Feed your dreams of eating gelato in some random city in Italy, grab a coffee at the same coffee shop you already went to four times, and laugh that belly deep laugh because what do you have to lose (you’re in Italy for crying out loud!!). Let your mind wander and your feet will follow, I promise! That big girl/boy job will be there when you get back, well, probably! You just graduated with that brand spankin’ new degree- ah it looks good in that frame (that imaginary one, because it’s actually still hanging out in the closet, oops) and...YOU GOT THE JOB! Not the dream job, but A JOB! Now this is when things get hard. You’re trying to decide if you should take that trip to India that you’ve dreamed of since you were in high school and that trip that was inspired from your one week volunteer trip in Haiti, or stay home and take the job and work forever and ever and ever...hmm. I’m not saying it’s an easy decision at all, but if all goes well with the world, that job (and more) will be there when you get back. Going abroad will open doors, doors you had no idea existed. You’ll learn more about yourself than you thought- yep, even the fact that you have learned to embrace wearing the same pair of socks 7 days in a row- and that dream job that overlooked you the first time, won’t even second guess your strength, independence, and well roundedness. (Insert home town here) isn’t going anywhere. If you’re worried about leaving mom, dad, sis, bro, g-ma, or g-pa and THAT’S OK! I cried almost every night for a week when I studied abroad. I missed my family and my friends, but the funny thing was that nothing was changing at home. Everyone was still doing life, the same life that they were doing a week or six months ago, and I was over in Cape Town like "what’s happening bru and are we having a braai! ?” But no, I’m serious- make moves, you won’t regret it. You’re stronger than you think you are and I know you can do it. Make your life an adventure and step out of your comfort zone. Traveling is fun and scary, it’ll make you cry happy cries and sad cries, but it will be the time that fills your soul with magic and make you feel alive...really alive. Travel far & travel often my friends. Traveling with kids is a rewarding, fulfilling, and yet often a complex process. Many parents want to share the wonderful world of travel with their kids, but it can be hard to help kids understand what they are seeing, where they are going, and why they are not following their normal schedule. Throw in time zone changes, unique menu options, and a lack of daily comforts... and there can be some stress! Some kids may just roll with the punches that travel throws their way, but others may have a harder time adapting. Below are some tips that can help make traveling easy on both the parents and kids, while creating memories of a lifetime. 1. Inquire on input. I always remember being asked about what I wanted to get out of my trip, which made every adventure even more meaningful and memorable. Obviously, I didn't always get the winning vote, but many times I was able to help create the plan, which made me feel involved in the process. If your kids don't know much about the area, try showing them some fun YouTube videos, colorful pictures, share some stories, and get them excited to see something...and then find out what that something is! 2. Turn your trip into a treasure hunt. It's not always easy for kids to buy into going wherever their parents tell them. If a child hasn't heard of Florence, or Barcelona, or London...then what do they care about what they see? I have found that giving kids a challenge can often entice their interest and intrigue them enough to play along. Because of this, I have tailor-made scavenger hunts for my clients with kids so that they can learn a bit of history, feel the fulfillment of checking items of a list, all while documenting all they saw for parents to maintain a keepsake for years to come...win, win! As a note, these will soon be available for download on the site! 3. Beat the jet lag. This goes for kids and adults, but particularly kids. No one likes getting off a sleep schedule (heck, don't mess with me after a trans-Atlantic flight), but it is important to maintain momentum. Nothing shakes off the cobwebs like keeping moving. Basically, check in, drop the luggage, and move onto something completely engaging and enthralling to distract the whole family from the fact that you would rather be snuggled up and sleeping yourself into a funky schedule for the rest of the trip. This may be an early night in for everyone, but pushing through that initial wave of exhaustion will help you set your clock for the rest of your trip. 4. Treat yourselves. It's vacation! You may not normally "sugar up" the family midday or after dinner (everyone has a different system) and I'm not telling anyone how to parent, but I'm just saying that a gelato in Italy is a pretty swell treat for not acting like a stinker after a flight halfway across the world (I mean, I'll behave for a creamy scoop). This may mean an exotic treat, extra iPad time, staying up later than normal, or even finding a playground among a busy city. Regardless of what it is, find some options in advance that are a unique experience for a kid on "vaca" and help find a positive reinforcement option for your child being a trooper! 5. Make time for breaks. I realize that this may seem like a no-brainer for anyone who has children, but it the prioritization to do nothing can tend to take a backseat during a chock-a-block full trip. Remember that you are on vacation. This is a time to prioritize your positive experiences, relaxation, and overall happiness. It may seem like the end of the world to stop for 30 minutes to cool off, grab a sandwich, have a drink...but is it really? Running 30 minutes late will rarely throw of an entire day, but an ornery child can easily derail your full itinerary in the blink of an eye (or full meltdown in public). If you are feeling like everyone is running on fumes, take the time to recharge, and don't feel guilty for putting your family first. If you miss seeing one monument, painting, or statue... I doubt it will ruin the entire trip! 6. Enjoy the local resources Not every family is traveling with an open-ended budget, and even those who are will enjoy finding a frugal option now and then! If you have a kitchen where you are staying, stock it full of snacks in advance. Also, refill any reusable water bottles when possible (read up on if the water in the city is drinkable, and don't assume that it is not). Lastly, find interesting options that could save some cash! Is there a market with any food stands? Are to-go meals cheaper than sitting down? These are options that are actually very culturally dependent and can save you some serious cash if you know the tips and tricks of a location. And all that cash you save? I'm thinking you might be treating yourself with a nice bottle of wine as a victory dance that everyone survived (and dare say, enjoyed) the vacation! Find a local park to explore and get some energy out! 7. Find open space to explore! There are kids everywhere you go, and they all have the same level of energy, curiosity, and need to explore. We are so lucky to live in a time with so much information readily available to us. There are so many blogs on family travel for specific locations that you are sure to find great options for playgrounds, parks, and activities that may be outside the normal tourist itinerary. It seems that kids have less of a language barrier than adults and can adapt to various situations quickly, making a local playground a perfect place to experience the culture of the spot you are visiting. I suggest finding a spot to "regular" each morning during your trip for kids to get the energy out and to get ready for a day of exploring. Just remember that if all doesn't go to plan, make another plan! I've been guilty of letting obstacles give me the blues, but that doesn't change anything. It's best to have a few back up options in your back pocket so that if someone needs a nap (no judgement if that person happens to be a parent) or you just aren't in the mood to do what you planned, you can switch gears without throwing off your day. Do you have kid-friendly travel tips? We'd love to hear them! There's been quite a trend in my blogs lately, and it has to do with my favorite way to experience the culture of a location. You may have guessed it...food! I have no shame in this topic. I. LOVE. FOOD. Food is the foundation to all of my itineraries. I lay the groundwork with three solid meal choices per day (maybe even an acclaimed coffee shop and snack stop), and then find experiences and sites near those restaurants. I take food VERY seriously. I've said it before, and I'll say it again...I've never met anyone who has planned a trip to Italy without making a point to indulge in the pasta or pizza. I think that this example, while very cliche, makes my point quite nicely. This logic is exactly why I spend the bulk of my time planning on researching restaurants. The research pays off, and I am going to share my secrets with finding the perfect gastronomic delights! 1. Don't trust Yelp. I should note two things here: 1) this is a rule that applies more with international travel and 2) I don't mean specifically and exclusively Yelp. I am referring to all the review sites that tend to be a perfect beacon of light towards great meals in the U.S., but don't always work in other countries. Yelp and the likes aren't popular everywhere, and therefore, most reviews tend to be written by tourists. If a restaurant is #1 with hundreds of reviews in English, you are most likely going to be sitting with many Americans and wondering why you took an international flight to sit next to someone from Nashville, TN. Nothing against anyone from the Volunteer state, but it just may not be the authentic experience you were hoping for. As a last note on this point (and minor clarification), it isn't that all places that are popular with tourists are bad, but depending on their location they may be able to get away with lesser quality because they know they will always have guests knocking on their doors. For example, I learned why Parisians had a stereotype of being rude while eating at a restaurant near the Eiffel Tower. There was no incentive to provide excellent service, or food, because their tables were full just by catching the eye of hungry tourists during their site-seeing around town. Your best bet is to wander off the main streets and dip into a place that entices your tastebuds. 2. Trust your gut. Have you ever walked by somewhere and just known that you were meant to eat there? As if there was a gravitational pull towards their menu? I have actually been en route to a restaurant and walked past a cute courtyard and derailed my entire evening. And you know what? It was perfect. Better than perfect...it was kismet! It also turned out that the restaurant that I wanted to had been packed that night and was full of tourists. Instead, what I found was a historical nook away from the world where I only heard one table speaking English...my own! We had found a gem, and I will forever return and suggest that restaurant to anyone visiting that city because of the hospitality, food, and incredible background of the building. 3. Get busy reading blogs! Not every blogger has the same tastes or insight, but that is what makes the blogging world so helpful. I read close to dozens of blogs on each location I visit just to make sure that I am getting as much information about a place as possible before arriving. This removes the intimidation of travel, but also provides me with time-saving tips to get the real "meat and potatoes" of a city. I will compare suggestions on blogs to on-line reviews (taking it with a grain of salt, per my recommendation on #1), and continue my search until I feel like I have found the best matches for the budget, ambience, and geographic location that I am seeking. After all, the information is free and available, so it may be better to invest time than waste the coin on a meal that was mediocre. If you don't have the time to search, compare, and plot...that's what we are here for! We can take the searching off your plate (pun intended) and tailor your itinerary dreams specifically to your style. Our team will read countless blogs, reviews, magazine articles, and forums to make sure that we get it "just right." And we promise...we are good at more than just eating. There are many things to see, do, and eat in the city of lights, but there (in my humble opinion) five things that every visitor should make time for in their trip in Paris. I realize that this city tends to be a gateway to the rest of Europe for many tourists, but despite how long or short your trip may be, these "must do's" can help you experience Paris in the romantic way that it tends to be portrayed in the movies. 1. Plan a picnic. Upon arrival, you may be tempted to ditch the airplane blanket and leave it crumpled with your pretzel bag in the crease of your seat. However, this makes for a perfect picnic blanket during your trip. Save the blanket, grab some cheese, roasted tomatoes, fresh berries, a baguette, a bottle of wine, and settle in at the Luxembourg gardens, Tuileries, or in the shadow of that very iconic tower. 2. Break for brunch. I consider brunching in Paris the equivalent of high tea in London. I adore the pastry tower, juices, sandwiches, and perfectly soft macarons of the famous Ladurée on the Champs-Élysées. This brunch is only served on Saturdays and Sundays, but it's worth making arrangements to eat yourself silly among chandeliers, floral tapestries, and a view of one of the most famous streets in the world. 3. Tour the arrondissements. Sure, it is easy to stay near the Eiffel Tower or to huddle close to St. Germaine, but this city really begins to unfold when you discover the different cultures of the various segments of town. There are twenty in total, and I definitely recommend some over others...but we'll save that for another day! 4. People watch. If you look at any street cafe (at any time of day), you'll notice that the locals are sipping (not gulping) beverages and leisurely enjoying their time. This is where I just want to throw my hands up and claim that I lost my passport for a week! In my opinion, this prioritization of doing "nothing" is everything. The locals are refueling, brainstorming, and just simply enjoying the beauty of their city. Who can blame them? So grab a glass of champagne or espresso and join in the non-productive, but oh-so-liberating act of people watching. For some great spots, check out Rue Montorgueil! 5. Frequent the markets. Paris has a street market for everything! Food?....check! Antiques?....check! Fashion? You guessed it...check! You will not find the same thing at any market, and you will find that each neighborhood sells something different. Plus, navigating your way to and from the markets will help you understand the geography of the city and help you create an adventure that you otherwise may not have had. For more on markets, see my previous post. I truly did not expect to love Paris in the way that I did, but I can't help wanting to return every year for the rest of my life (building that in the budget...wink wink). As I've said about Rome in the last post, Paris deserves at least three full days on your itinerary. These five things may take a little extra time on the agenda, but you will walk away with a deeper understanding of what makes this city such a bucket list item for most people! 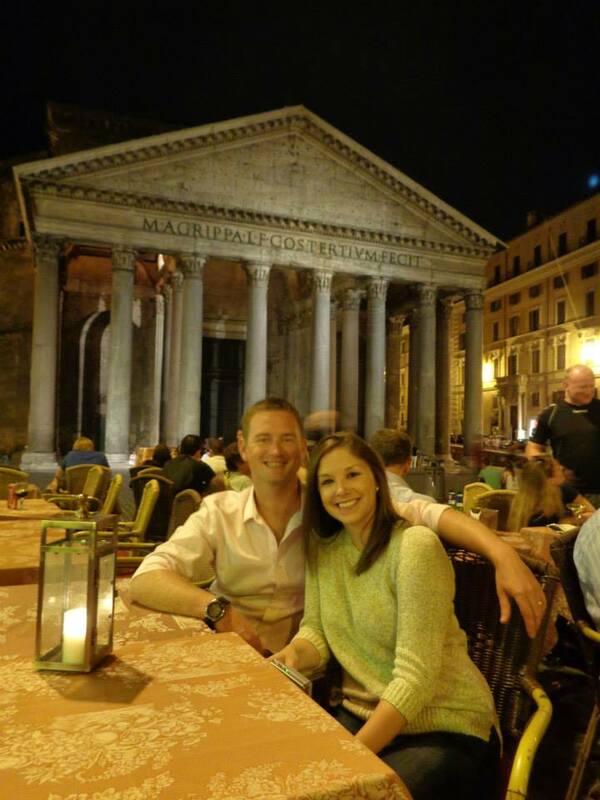 When I first visited Rome, I enjoyed my time, and was happy to have spent a two day whirlwind tour discovering the city. However, to tell you the truth, I was a little less than enthused about this famous place that is known for ancient ruins, lively piazzas, and ornate Renaissance churches. I don't think I'm alone in this perception, either. I have heard many a tourist say that Rome was great to see, but it wouldn't be making a reappearance on future itineraries and I never disagreed with this train of thought until 2013. If you've read my blog before, you may have seen my post on studying abroad. During this time, our class traveled all over Italy and crammed as much historical information into our brains (and pizza into our faces) as possible. During my short stint to Rome, I decided that I was okay with not returning. It wasn't until 2013, when I went on a trip to Italy with my parents, that I truly fell in love with Rome. What changed my mind? Well, a myriad of things, but mainly I revisited Rome and decided to take the non-whirlwind approach. We saw the city markets, cooked in the apartment, took tours from locals, and just experienced Rome as the Romans do. Basically, we found our way in the experiential travel world. If you've thought that a trip to Rome could easily be trumped by a trip to Florence, Bologna, or Venice, I'm here to share how to make it a better competitor, and maybe even a top choice when planning your next jaunt to the boot-shaped country. Rent an apartment. I personally have never lived in a hotel (after all, we are not all Chuck Bass) and I don't anticipate that I ever will. To experience the local culture, one must live like a local, and an apartment is a great way to feel settled, have a kitchen, and experience what it is like to have a "home" in the city that you are visiting. My favorite sites are AirBnB, HomeAway, OneFineStay, and VRBO (although, many cities have great local options, as well). Stay for 3+ nights. I think that many people treat Rome like they do Paris: simply, a stopover en route to the next place. However, if you limit your time, you are limiting your experience. Here's the thing...it's hard to find the balance of seeing multiple places and spending quality time in each location. I suggest three nights per city to give it a fighting chance for your love. Take a tour. Don't love being in a blob of humans with one person leading with a funny umbrella sticking up in the air? Join the crowd (not literally). Rome has some great tours that are individualized that can allow for you to really see what you want to see, and how you want to see it. My favorites are Easitalytours and Scooteroma. Easitalytours provides an English (or Italian) speaking tour guide who is beyond knowledgeable on Rome's history, art, and culture. We spent a half day meandering through the wonders of Rome without having to use a map and learning the tricks of navigating through town. Our tour guide also served as an enthusiastic photographer when we got to the most picturesque locations. Scooteroma is a unique option that allows you to ride or drive a scooter through Rome on a designated path. Romans love their scooters and this is a great (and fast) way to see the city through a local's eyes. Test out your culinary skills. Don't forget that an apartment comes with a kitchen! The market in Campo di Fiori sells an array of fruits, vegetables, oils, spices, and even flowers (if you are wanting to make your place extra cozy). Take an early morning walk through the piazza, grab a cappucino, and start shopping. There is nothing to help you experience a city like haggling with a street vendor! You will probably save some money and have a great memory of creating your own version of Italian cuisine. Roam...in Rome. Like every city, there are different neighborhoods with varying cultures. This is no different in Rome. If you stick to the normal path, you will see normal Roman things (and probably a lot of that will be touristy since this is quite the hub of tourism for Italy). Put on your walking shoes and start to explore the nooks and crannies of Rome. If you are like me and you err on the side of caution, ask your waiter, tour guide or temporary landlord where they would eat, walk, and explore their own city. Your experience will be unique, you may get lost, but the adventure is all in the journey (and worst case scenario, they have Uber to bail you out). 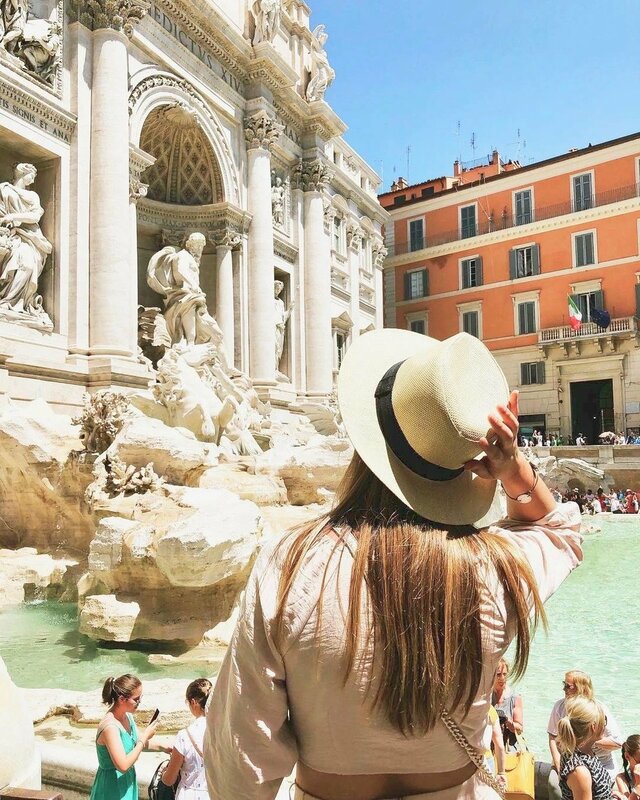 I hope that if you didn't love Rome the first time, you may give it another shot! I can't wait to go back, eat some Cacio e Pepe, zoom around on a scooter, and drink a spritz in front of the Pantheon! I was once at a meeting where they asked everyone to write their name on their name plate and draw an image that depicted a "fun fact" about themselves. Now, I feel like this is never an easy question. No one wants to come off as boring, or "braggy," or, in a worst case scenario, share something that makes you unique but takes a negative turn (you know, there's always one). I was struggling to find what made me different from every other unique person in the room. While I was staring blankly at my name plate, my boss said "I know something for you....it's easy." My interest was peaked. "You like food more than anyone I have every met." It's true...I do. I think about it constantly, I talk about it way too much, and I plan my meals endlessly to make sure that I am maxing out my "tasty" quotient for each day. In fact, I had sent no less than five emails to my boss and co-worker on restaurant options within reasonable taxi distance from our conference. What's a hungry girl to do? We were in Nashville, where there are TONS of options (shout out to the AMAZING 5th & Taylor). I couldn't fathom leaving without getting to know the city, and I feel like getting to know a culture largely comes from tasting the cuisine. So that leads me to how I start to plan every trip. The food. For example, have you ever heard of a trip to Italy that didn't mention pasta, pizza, or gelato? If you have, I want to shake your hand because you are in a small group, my friend! I truly believe that taste is the most powerful of the senses (obviously along with smell, since it is such a contributing factor). It has the power to create a memory that you think back on, and all too often, make an audible reaction...."mmmm." Yes, I'm that girl that will lust after meals past. I can remember my first taste of Spaghetti Nonna Rosa at Il Gatto e la Volpe in Florence, the bittersweet and acidic medley of the ceviche at Coqui Coqui in Tulum, eating the crispy greasiness of fried zucchini flowers in actual Roman ruins at Costanza's in Rome, and the hearty taste of stuffed tomatoes that I couldn't get enough of while sitting under a canopy of grape clusters in Paxos, Greece (kicking myself for not getting the name of the place!). I'm still not satisfied...each delicious meal intensifies my desire to try yet another place, another meal, and another specialty (am I right, Hunger Diaries? She just gets me). My food bucket list contains Bolognese in Bologna, pizza in Naples, pho in Vietnam, perogies in Poland...and so so many more! I've never considered myself an adventurous eater, but apparently I am more so than the "average bear." I like to try the local specialties. If the local specialty is rabbit, I guess I'm getting rabbit. How can I understand how people of another culture live their day to day, if I stick with what I could/would order back in Florida? My one exception is mussels....I CANNOT get enough mussels, particularly when in a seaside town! I assure you that I learned about my love for researching the best places to eat (and I'm not talking fancy...I mean quality) by getting burned a time or two. One situation sticks out like a sore thumb. Just like many tourists, I fell victim to getting lured in by a sidewalk restaurant promoter promising great things. When the meal came out, there were vegetables that looked like they were dumped straight from a Green Giant bag. No offense to Green Giant, but if I wanted frozen veggies, I'd go to the nearest Publix. My meal that night fed a stray dog...the term "doggy bag" has never been more literal. The moral of the story: I will search tirelessly looking for that perfect meal that captures all facets of a destination. It takes time..boy, does it take time...but no matter way, it is better than chasing down stray dogs. I feel it in the air…do you? There’s a change coming…a big one. Travel is changing. People used to turn to travel agents for expertise and planning. Nowadays, it seems that travel agents tend to focus more on luxury travel, which leaves every other traveler who isn’t booking 5 star resorts to fend for themselves. I also use the term “experiential travel” in describing what Explorateur Travel focuses on, and I keep getting a lot of “what is that” and confused facial expressions. This type of travel can be better summed up by examples than a vague description. Experiential travelers would rather sip a piping hot cappuccino with a fresh baked croissant while people watching at a sidewalk café instead of waiting hours in line to catch a moments view from the top of the Eiffel Tower (even though that view is quite breathtaking). Need another example? How about visiting a vineyard during harvest season to help pick some grapes and then finishing the tour with a fine vintage grown in that very soil. Or renting an apartment (we love us some AirBnB and OneFineStay) near the markets so that you can cook with the local produce and freshest ingredients. Okay…okay…so not all experiential travel has to involve food (but, we wouldn’t complain if it did). This type of travel is how Explorateur Travel came to be. We focus on finding you a cultural approach to travel, but it’s also important that we tailor the itineraries specifically to each traveler so that they are sure to make the best out of their trip. Our budget-friendly services can replace your hours of on-line research, after all, you’re busy living life! Do you have any "experiential travel" examples? We'd love to hear them! My mom cried. She thought I might die in a terrorist attack. I reiterated that I wanted to go to Europe, not the Middle East. In our current day reality, this may have been a threat that I would have put some legitimate thought into. However, my concern would have been fleeting and regardless, I still would have boarded that plane. To back up a bit, I went to Florida State University (Go ‘Noles!). During freshman orientation, there are tons of break-out sessions that upcoming freshman can attend to find out how to maximize on their college years. I was eighteen, fresh-faced, naïve about the world, and had never traveled outside the country. Despite my mom’s comment that day as I peeled off to attend the informational session on the study abroad programs (“I’m not paying for that…I’ll go to another session), I went and listened to what the advisors had to say. Come Hell or high water, I was going to spend a semester overseas! My mom was telling the truth. She didn’t pay for me to study abroad (which, of course, I did not initially believe since she was always willing to invest in anything academically focused). This is not to paint a negative picture about my mom at all, in fact quite the opposite. I learned more from her telling me “no,” than I ever would have if she had just agreed that my parents would foot the bill. Because my parents weren’t paying, I decided that I needed a loan. I didn’t know about terms, or interest rates, but I applied, I got approved, I signed my name on the dotted line, put my name in the hat for a summer in Italy, and got into the program. So that was that. I was going to Italy! Now it was time to plan! I needed to get my passport, a student visa, luggage, books for classes, adaptors, and every other thing I was informed that I needed for the upcoming summer semester. Months, and a lot of checklists later, I rolled up to the American Airlines check-in counter with two HUGE suitcases, both weighing in at the maximum threshold. I looked like I was moving permanently, instead of just attending six weeks of classes. I connected through Charlotte International Airport and met up with one of my best friends from my freshman dorm who had lived in Italy as a child while her dad was in the Navy (coincidentally, I ended up marrying he brother, so now she is my sister in-law and her father is my now father-in-law). We flew side-by-side across the ocean, and landed to find that our luggage didn’t make the trip. We ended up spending the first two days wearing our new classmates’ clothes, using their cosmetics, and not caring one bit. We were in ITALY! Upon initial arrival, we all checked into our apartments. Somehow, we had thirteen students in one tiny, lackluster, poorly plumbed, and incredibly perfect apartment. We decided to have a “roomie” dinner where we all ended up enjoying too much wine, making our 8 AM orientation less-enticing than it would have been if we had solely suffered from an overdose of jet lag. I remember walking around that morning and seeing the Baptistery the first time and knowing that something in me had changed on a molecular level. I spent the next six weeks wandering the streets of Florence. Every moment that I wasn’t in class, I was perusing the shops, drinking wine in the piazzas, and exalting the artwork that decorated the streets. As an outsider, I couldn’t imagine that Florentines ever become numb to the rich beauty of their city. In walking to a restaurant, you pass multiple Renaissance art pieces, monuments, and landmarks. Florence has a wealth of history, and I was cashing in all my chips to see it all before I left in June. The dangers of studying abroad were not imminent, physical, terrorism-rated, nor did they appear to be obvious, at first. In fact, I didn’t even realize what I was at risk of at any time during my semester in Italy. To clarify, nothing about my study abroad experience was actually dangerous or even slightly risky. However, the emotional danger was the fact that I was officially afflicted with a permanent case of wanderlust. Travel in itself was not the problem. The conundrum was that anytime I was not traveling, I was either daydreaming about where I can visit next, or I found myself researching the next item to check off my bucket list. I have reason to believe that I am not alone in this. In fact, I now tend to see a lot of study abroad alums posting recent pictures of their excursions to Europe, further validating my perspective. So here I am ten years later. I wish that everyone could have the pivotal experience that I was able to participate in during the summer of 2005, but I realize that is far from a reality. However, I can help others feel the same emotions that I had during those six weeks that I spent in Italy. This is exactly why Explorateur Travel exists. My goals include providing all aspects of experiential travel for those who want to “feel” the place that they are visiting. The focus is not merely to book travel, but to plan those small details that invoke an intense and permanent connection with the vacation destination. Everyone packs differently and everyone has different priorities when traveling. These tips are a few that I abide by in order to make sure that I get to enjoy the “getting there” portion of my vacation, and not just the final destination. “Baby blockers”- or soundproof headphones. I truly mean no offense to anyone that is traveling with a young child, but a tearful flight can deprive a cabin of travelers from some much needed R&R. Throw on some headphones and settle in with a good book – you’ve got yourself an in-flight oasis. Abide by the TSA policies and pack the Ziplocs. It is always helpful to keep a few of your toiletries in your carry on but make sure that they are in a clear bag or you may end up having to toss them before you even board your plane. This is a good place to store your lotion, some Evian facial spray, make-up necessities, and clearly marked vitamins/medicines. However, each passenger is allowed one clear plastic bag, so if you don’t need it for the flight, go ahead and stash the items in your checked luggage. • Avoid getting cold feet. During the summer, it is tempting to throw on sandals for a flight, but the temperature of the cabin can tend to be a lot lower than the outdoors. If you know you get cold easily, throw some socks in your carry on for cozy sleeping. My favorite thing to do is to pack a flexible pair of flats that I can put on and still be able to walk to the bathroom. Don’t get caught with your pants down! Prior to my first trans-Atlantic adventure, I had no idea what to pack. In yet another life-lesson moment, I learned the necessity of packing some extra underpants when my luggage arrived two days after I did. Make sure to tote some items that would help you feel “fresh” in the event that your luggage gets lost along the way. A toothbrush. Never underestimate how a fresh mouth can change your mood and make you feel ready to site see at your final destination. A (wearable) blanket. Most international flights provide a light blanket, but in the event that you get cold quite easily, don’t hesitate to throw a pashmina or scarf in your bag to take the place of an airline blanket. BYOB. It you are like me, vacation starts once you get to the airport (maybe even before). I always bring 2-3 mini bottles just in case the beverage service is running behind. In addition, some airlines don’t provide complimentary alcoholic beverages, and by bringing my own I can always guarantee a mid-flight cocktail. After all that…sit back and enjoy your flight!